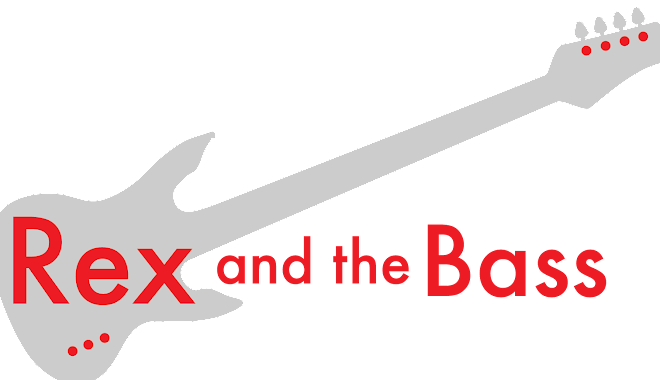 Rex and the Bass: Sadowsky NYC Original P Bass Guitar. I greatly admire Roger Sadowsky, who makes the finest bolt-neck guitars and basses in his New York City shop. Some deride his creations as “parts guitars” as he does not do all of the work in-house, and because he has used Leo Fender’s designs as the basis for much of his product line. The people who say this have most likely never seen one in person or had the opportunity to play one. The craftsmanship is exceptional, and every one that I have had the opportunity to play was an absolute dream. His pre-amplifier designs have even been copied by Fender for their Marcus Miller artist series basses. The bass we are looking at today is a NYC Original P that was built in 2008. The NYC means this was built in New York, and is not part of their Metro line that is built in Tokyo. This is not a regularly produced model, and is available by special order only. The Original P bass is loosely based on the 1951 Fender Precision bass, but has improved upon it in every aspect. The swamp ash body has a full-size contoured Precision Bass profile and shape. It is finished in Sadowsky’s Vintage Blonde color, which is slightly transparent, so you can see the nice wood grain. There is a cavity in the back to access the pre-amplifier and the battery for the active electronics. There is a nicely recessed input jack on the lower bout, with a very trick-looking cover. The maple neck has a more narrow Jazz Bass profile, which is 1.5 inches wide at the nut and has a 9-inch radius across the fingerboard. The neck uses the Musicman style truss rod adjustment wheel at the heel, so no disassembly is necessary for adjustments. This neck has the optional vintage tint finish on the neck, so it does not appear too bright and out of proportion with the rest of the instrument. I have never seen a tighter bolt-on neck joint, the fit is incredible. This bass has its original Lollar pickup. As far as I know, Sadowsky does not wind their own single-coil Precision Bass pickups, so they sourced this from one of the finest pickup makers around. The Sadowsky pre-amplifier has the vintage tone control, so the controls are: volume, VTC, and stacked treble and bass pots. The VTC pot is push-pull, so you can bypass the active electronics. The hardware is all first rate, with beautifully chromed and polished bridge, tuners and control plate. The bass shipped with plastic knobs, but the chrome knobs shown were also included, and look nicer, in my opinion. The 5-ply pickguard is obviously custom-made for this bass, due to its unique shape. A nice touch on Sadowsky guitars is that they ship with clear 3M protective film on the back and around the pickup, where most of the normal playwear takes place. It is easily removable with no residue or discoloration if the owner does not like the look of it. When this bass was made, Sadowsky was still providing semi-hard cases with zippers that did not hold up terribly well. This changed late last year when they started providing a more conventional first-rate hardshell case. So, it is obviously a nicely-built bass, but how does it play? Incredibly! The set-up was perfect right out of the box. Due to the limitations of having only one single-coil pickup, it does not have the diversity of sounds that you find in more conventional Sadowsky basses, but it really nails the Motown thump. If you are looking for a super-aggressive bass, this one is not for you, as it may be just a little too polite. Of course the electronics are very clear with no hiss or hum. Before I forget, one of the most pleasant parts of playing this bass is that it is very light. It weighs in at 8.05 pounds, according to Sadowsky. I’m sure they have a nice scale. If you want one of these, be prepared to wait. The current lead time for custom orders is about 6 months, even in this terrible economy.